Grace. Showing Grace to another person. That’s a thing we still talk about, right? If not then we should, especially in light of the season. 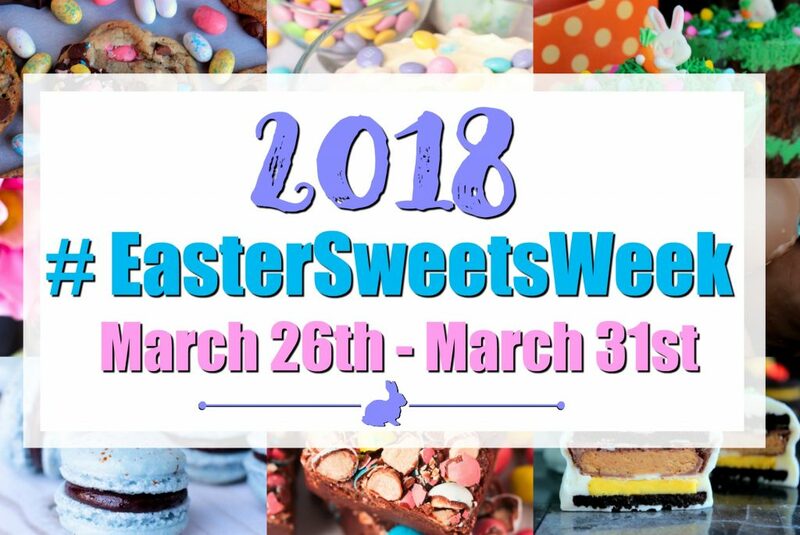 I mean when is it more appropriate than at Easter? I don’t know if Webster’s has a definition for the word or not, but when I think about it- it means showing un-judging kindness to others. Lifting up your peers, even strangers in word, in deed, and thought. Not trying to get to heavy with this post, but I brought up the subject for a specific reason. Cause today, y’all I could totally use some. A heaping helpin’ of it! I’ve gotten spoiled by this colder Spring weather. I’m also in the process of packing and moving my entire household. Needless to say, the amount of boxes piled high and waiting for their weekend transport were totally blocking me from my usual photo spot in the air conditioned living room. No biggie, right? I’ll just move the party outside and still take advantage of the natural light. Oh except today skipped Spring and ran straight for Summer temps. 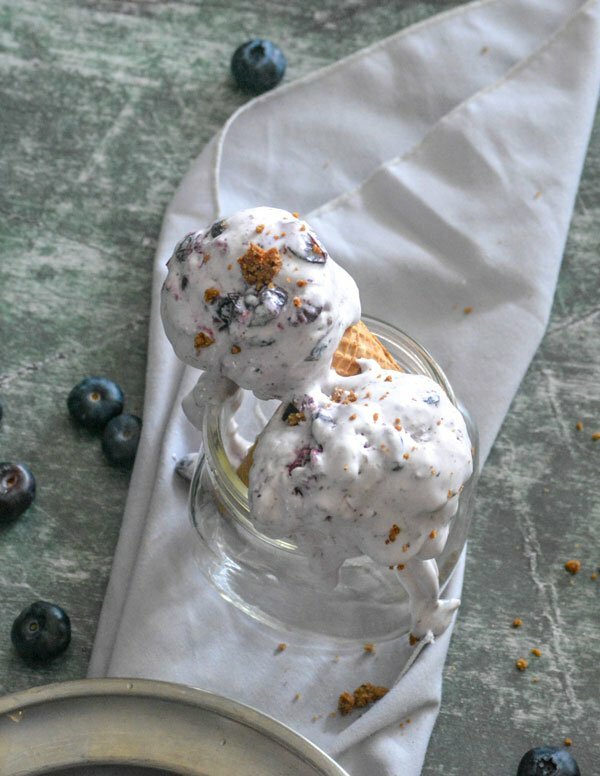 So while this No Churn Blueberry Muffin Ice Cream is a creamy dream-come-true in a cone, it melted faster than I could get pics. Ya know what they say about not judging a book by it’s cover? Let’s just apply that to this recipe right now. She might be a tad bit rough on the eyes, but she’s a gem all the same! People often associate homemade ice cream with tedious hours spent churning and painful arm numbness. Not around here, folks! I don’t have time for all that. 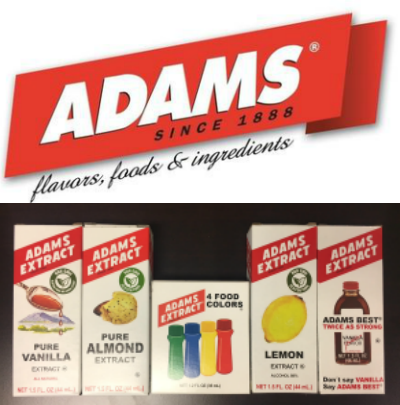 We like to keep things quick, easy, and painless- and no churn ice cream recipes are just the ticket! A base of fluffy whipped heavy cream is sweetened with rich condensed milk making the perfect vehicle for just about any ice cream flavor you can dream up. 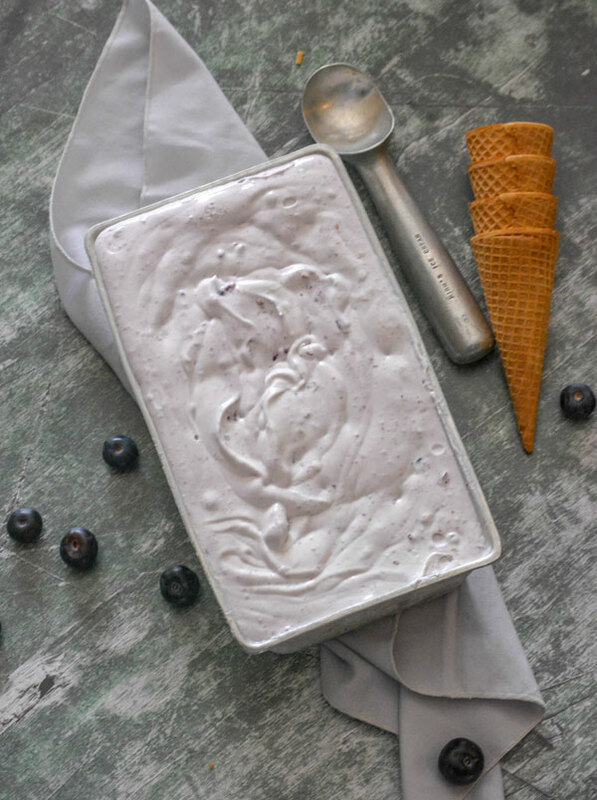 For this No Churn Blueberry Muffin Ice Cream I stirred in a homemade (still equally easy, promise!) blueberry compote and some streusel crumbs. 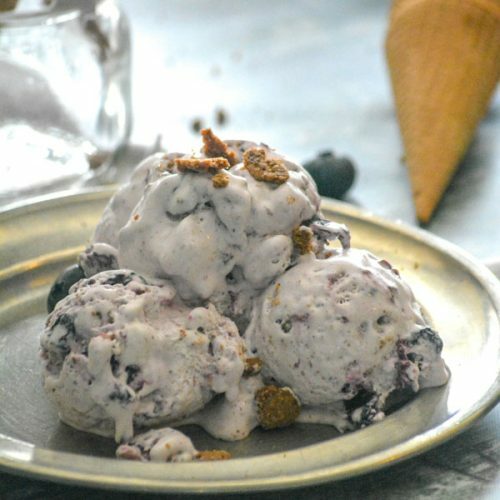 It tastes just like biting into a delicious blueberry muffin- but with ice cream and instead of breakfast, for dessert. A win win in my book, any day of the week. Don’t be fooled by the fancy schmancy word ‘compote’ either. All that means is fresh fruit was cooked down into a syrup on the stove top. Easy peasy, lemon squeezy- yep there’s a bit of lemon in there. Scoop it into a bowl, stuff it into sugar cones, shoot- get a spoon and eat it right out of the bowl, you can’t go wrong. 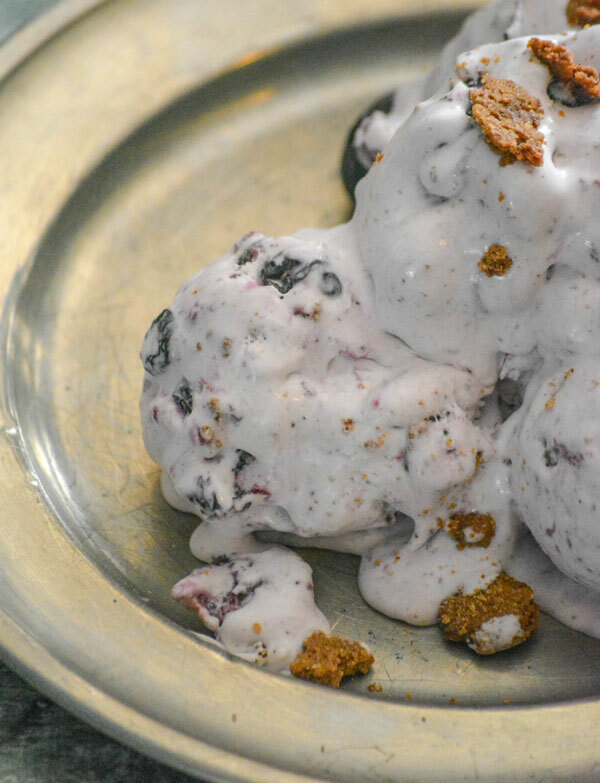 Our No Churn Blueberry Muffin Ice Cream is rich & creamy, quick & easy, and swirled with a fresh blueberry syrup and streusel crumbs. 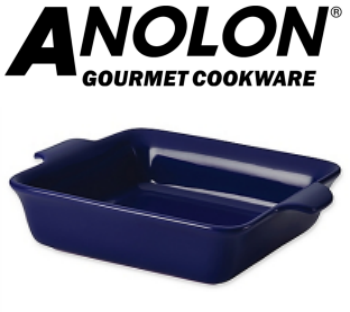 It does begin to soften and melt quickly, so freeze until right before serving. And hey, if it does begin to drip- tell the kids to lick that cone, and know that they don’t need to show ya God’s Grace because they won’t care a bit. They’re just gonna be happy they’re getting dessert! 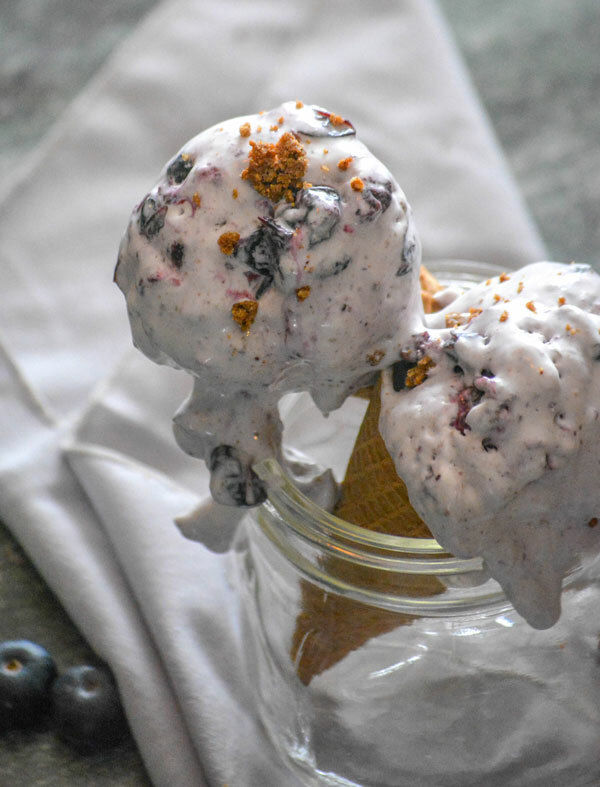 Before you go, check out these other awesome no churn ice cream ideas: Peaches & Cream No Churn Ice Cream, Copy Cat Ben & Jerry’s Cherry Garcia Ice Cream, and Salted Caramel & Pretzel Ice Cream. 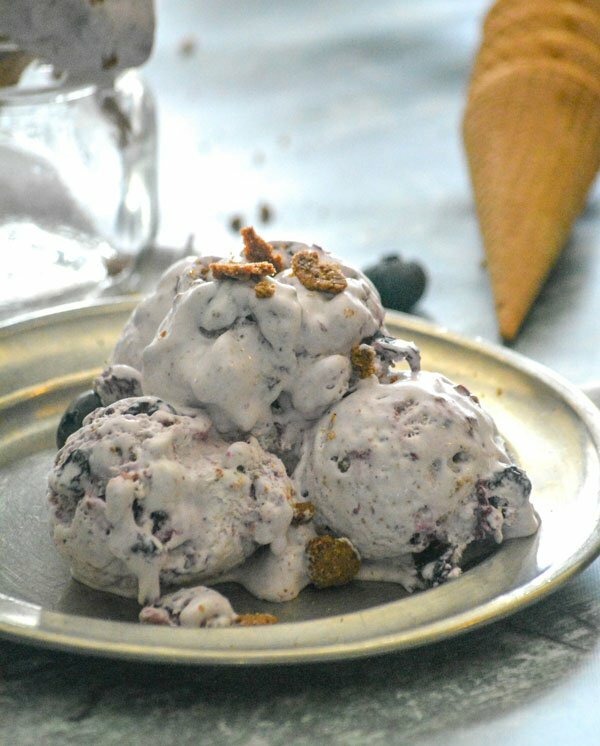 A quick, easy, no-churn ice cream- this decadent version features a fresh blueberry syrup and easy streusel bits. Add the blueberries, lemon juice, and sugar to a large skillet over medium heat. Stir together until evenly combined. Continue cooking, stirring occasionally, until the berries have burst and the liquid thickens into syrup. Transfer the compote to a mason jar and let cool completely before using. To the bowl of a food processor, add the flour, sugar, cinnamon, and pinch of salt. Whip together to combine. Add the cubed butter and mix again until the dough is crumbly. Line a baking sheet with parchment paper and spread the streusel dough out onto it in an even layer. Bake at 350 degrees for 10 minutes. Stir the streusel up, spread it back out into an even layer, and then bake it an additional 10 minutes. Break it up again, and let it cool completely. In the bowl of a stand mixer, whip the cream until it's light, fluffy, and stiff peaks have formed. Don't over mix-- or you'll end up with butter. Stir in the sweetened condensed milk until evenly combined. Chill the mixture for 30 minutes. 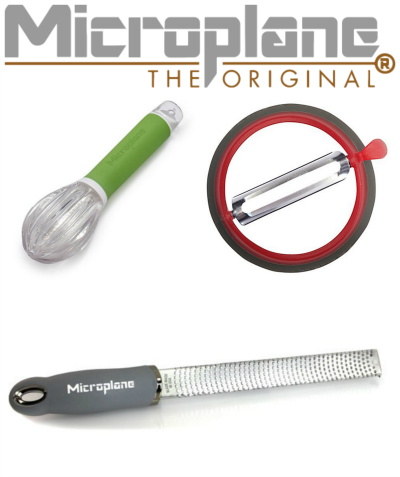 Transfer the mixture to a metal loaf pan. Stir 1/2 cup of the compote and 5 tbsp of streusel into the ice cream, just until evenly combined. Use a spatula to smooth out the top. Cover and freeze, for 2 hours or until firm. This sounds amazing! I started making it tonight before reading completely, and had a few questions. I was wondering how much cinnamon to use? Also, what do you do with all the left over blueberry mix, 2 pints gave me much more than a 1/2 cup! I also had the same question for streusel. If we only need 5 tbsp can the ratios be smaller? Or am I missing something where we use more of these. So I typically end up stirring most of my syrup in, it just makes for a ‘softer’ soft serve ice cream. Any excess I save for pancakes or waffles. What streussel topping I don’t use in the ice cream, I store in a ziplocking back and serve over the bowls as I serve the ice cream. I hope that helps, and it’s one of my favorite no churn ice cream flavors in the Spring & Summer.